1. Start off this week with some eye candy. Here are the latest renders for Visum Development’s 191-bed, 60-unit project at 232-236 Dryden Road. The biggest change here is the Dryden Road facade – revised fenestration, and the addition of shingle-style balconies. STREAM Collaborative’s intent is to give the south building a little more historical sensitivity – when the Cascadilla school still had a dorm in the late 1800s and early 1900s, it included a 4-story shingle-style dormitory complete with dining room and gym. The balconies are throwbacks to the dormitory’s balconies. However, given that this building will date open in 2018 and not 1898, instead of wood shingle, the balconies will use Allura “Redwood” fiber cement shingle – wood pulp mixed with sand and cement, shaped for a wood-like appearance, but with the durability of concrete. Fiber cement is also more expensive to buy and install vs. materials like vinyl, which is why only more expensive or visible structures tend to use it. Other planned materials include Endicott manganese ironspot velour brick veneer, fiber cement panels with LP smart trim painted in Sherwin-Williams Pure White and Anonymous (actual name), lap siding in SW Pure White and Marigold, granite grey stucco (*real* stucco, not DryVit), a metal canopy and Andersen windows. 2. Business is good for STREAM Collaborative. So good that they’re expanding both in staff and space. The young, prolific architecture firm led by Noah Demarest will be moving out from its location in the City Hall Annex at 123 Sough Cayuga Street, and into a larger downtown space in the ca. 1872 Gregg Block at 108-112 West State Street, across from the State Theatre. The new digs are being renovated now, and are expected to be ready for occupancy by July 1st. On another note, the owner of the city hall annex has taken to advertising the office space on Cragislist, which seems like the wrong choice to me. An apartment, sure. A house for sale or offices to rent? My impression is that folks prefer a more professional medium than what Craigslist offers. Kinda the same with jobs – servers or dog-sitters, sure. Accountants or architects? Ehh. Maybe I’m just behind the times. Here’s the posting for the former Hal’s Deli on the 100 Block North Aurora Street. $5500/month. 4. …pretty much now. The three units in the first image are 204, 206 and 208 Hancock Street, the four for-sales in image two are from L to R, 406, 408, 410 and 412 Lake Street. 206 Hancock, 408 Lake and 410 Lake will be 910 SF 2 bedroom, 1.5 bath units that will sell for $112,000 to qualified buyers. 406 Lake and 412 are 1088 SF, 2 bed 1.5 bath units priced at $129,000. The largest units, 204 Hancock and 208 Hancock, are 1300 SF, 3 bed 1.5 bath units that will sell for $145,000. The plan is to have buyers lined up for all seven units by the end of the year. 5. The county legislature has approved the Heritage Center acquisition. The county will pay $2 million for the 18,500 SF property, about $400,000 below assessment. Tompkins Financial Corporation is parting with its former offices next spring as it moves into a new HQ a block away. The plan is to have the heritage center, which will host tourism and history-focused non-profits, open for occupancy by the end of 2018, just as The History Center’s lease at 406 E. State runs out. 6. Seems like Lakeview is serious about their West End mixed-use project. The mental health services organization just purchased three properties on Thursday the 8th – 326 North Meadow for $150,000, 711-13 West Court Street for $525,000, and 329 North Meadow and 709 West Court (same owner) for $550,000. Lakeview is planning a mixed-use 5-story building with a small amount of first-floor retail and 50 apartment units, all of which would be affordable, and half of which would be set aside for those with mental health ailments who are generally independent, but will have Lakeview staff to turn to in times of need. The project team requested $250,000 from the city IURA to help finance the $20.1 million project, but were only awarded $50,000 since it’s still at a relatively stage without detailed plans. The project team expects to submit their project for review later this year, with a 2018 construction start. 7. Tiny Timbers is doing well. In an update to their website, they note the completion of their first house, a “lofted L” model just over the county line in Hector, and a new house planned in Enfield (given that Enfield permitted just one new house last year, there’s probably a joke in there somewhere). There is another home just getting underway in Lansing’s Farm Pond Circle development, and a fourth will start soon on Grandview Drive in the city of Ithaca’s portion of South Hill. All the new units will be “big cubes” like the render shown above. 8. Looking at the city of Ithaca’s planning department memo this month, there’s nothing new to note for June. Smaller projects tend to show up in the memo, since the sketch plan for feedback isn’t as big of a deal for a small proposal, like a new store or a modest apartment building. Finger Lakes ReUse’s 22 studio units for vulnerable/formerly homeless populations will have its public hearing and Determination of Environmental Significant (step before prelim approval), the McDonald’s rebuild will have Declaration of Lead Agency, public hearing, BZA recs and DoES, 232-236 Dryden will have its DoES vote, and the Old Library redevelopment and 238 Linden will be up for approval. 9. Finishing off this week with a word of approval – the Dryden town board gave approval to Gary Sloan’s 36-unit Evergreen Townhouses at 1061 Dryden Road, per Cassie Negley at the Ithaca Times. At the boards’ (both planning and town) encouragement, the solar panels were replaced with electric heat pumps, which could utilize off-site solar and open up the possibility of a more environmentally sustainable project overall, given the proliferation of solar arrays underway in Tompkins and the region (my off the cuff estimate has at least enough solar arrays planned in Tompkins in the next 18 months to power over 10,000 homes). A play structure and 11 more parking spaces were also added. 1. Let’s start off with some bad news. The town of Dryden planning board did not take too kindly to the Evergreen Townhouses proposal at 1061 Dryden Road outside Varna. The board denied recommendation for approval unless some stipulations are met first; some might be easier, like a vegetative buffer with the neighbors and a shared driveway. Others will be trickier – the board recommended removing all the solar panels and replacing them with electric heat pumps, and board members strongly encouraged reducing the number of units. Not to downplay the value of heat pumps since they’ve become the preferred sustainable feature for projects going before local boards these days, but there is a substantial initial cost involved for their installation, and it takes a few decades for the energy savings to pay off. Some of the cost for the pumps can be balanced out through density of units, because some flat development costs (for example, the cost of land acquisition) can be distributed out; but fewer units with a more expensive feature is the classic “do more with less money” conundrum. Let’s take a look at some numbers. Disclaimer, these are ballpark figures and every project has its nuances or other factors to consider, like tax rates, contractor bids and logistical costs. The Village Solars heat pumps are a $50,000-$60,000 cost, $4,000-$5,000 per unit. Phase 1 didn’t have the heat pumps, but the later phases do, and those later phases are about $2 million-$3 million per 15,000-20,000 square-foot building, with 12-22 units depending on configuration. In the case of 1061 Dryden, each 6-unit string is about 10,800 SF (1800 SF per unit, no common areas), and given the $4.5 million total cost, we’re talking a ballpark estimate of around $750,000 per townhome string. If one assumes proportional costs for the heat pumps based off square footage, that’s $30,000-$40,000 per 6-unit string. So it is a higher incremental cost per string, and more of a burden per tenant. The Village Solars rent for $1600-$1650 for a three-bedroom, and the going rate for new units in Varna is about $1950 for a 3-bedroom, if the new townhomes at 902 Dryden is any indicator. The rent increase for the Village Solars was about $50/unit, but those units are smaller, so you’re probably looking at a larger amount, conservatively $75/unit, for the Evergreen units. Going off those numbers, it looks like heat pumps are possible, although the units will likely be somewhat less affordable as a result. It isn’t clear if that disables the proposal, because it depends on imputed vacancy rates at different income levels, and whatever the required income is to make the necessary Return on Investment. However, the project would become less feasible if there are substantially fewer units and the construction cost per unit shoots up – because of the combination of flat vs. incremental expenses, taking away six units won’t drop the cost $750,000, it’ll be less. The cost of the solar panels is also an unknown, as are the costs of doing these revisions to please the board. The development team was not at the meeting, which is unfortunate; we’ll have to wait and see how this moves forward. 2. Speaking of the Village Solars, according to the latest minutes from the Lansing Town Board, Lifestyle Properties is exploring taking down some of the old Village Circle Apartments, and replacing them with new buildings. These older, 8,000-12,000 SF structures date from the early 1970s through the early 1980s, and have 8-10 units per building. Since the newer buildings are about 15,000-20,000 SF and tend to have 18-22 units, that could explain where the 423 units statistic came from last month – some of it comes from buildings on new sites, some are replacement buildings for existing structures. 3. The city Common Council held their monthly meeting, and signed off on the IURA sale of 402 South Cayuga to Habitat for Humanity with little debate, and while the TM-PUD for 323 Taughannock was a bit problematic due to some confusion with the minutes from the public hearing, the approval was carried unanimously. The project is now free to go before the Planning Board for State/City Envrionmental Quality Review, and the Design Review is considered complete. Side note, the city’s four fire stations were renumbered. The old numbers hailed from the days before the stations consolidated in the 1960s and 1980s, and were confusing for many. Fire Station No. 9 (309 College Avenue in Collegetown) is now No. 2, insert joke here. Central Station (310 West Green Street) becomes Station 1- Central, Station 5 (965 Danby Road) becomes Station 3- South Hill, and Station 6 (1240 Trumansburg Road) becomes Station 4- West Hill. Q: So, what’s your thought process when designing a building? Apart from necessities like zoning and client requirements, do you take cue from surrounding buildings, the environment…what are you thinking about as you sketch the first concepts of a new building? JS: For infill projects, the sites are very narrow. My project at 409 Eddy, if I recall correctly, is a very narrow site. My clients had never hired an architect before, and it was a challenge to convince them. Most of them, they think how many rooms they can rent, so you give them a number, and you work it out, and you figure out the design from the surrounding context, how the buildings line up, how the window patterns line up, symmetry, scale. You lay out a plan for how the windows would fall, how would it match with the existing window lines on surrounding buildings. Frankly, back then (409 Eddy was built in the mid-1980s) there was not much context, many buildings were in poor condition, you had some brick buildings, but otherwise not much. You try to relate it to what you’ve done before, the streetscape, you try to change up things with color, bay windows, you play with that, organize everything in a symmetrical way. Later on, my later buildings in the past 10-12 years, I’ve begun to take more liberty, play with them [the designs] more, 3-D effects, projections, penthouses, balconies, corner windows and more glass. And at the street level, they’re more urban, they have colonnades, like 309 Eddy, it looks very nice. But all of them…if you’re the only actor on the stage, you’re playing your own thing. If you look at Collegetown, Eddy Street and up, 309, 303, 301, some are angled, they’re different materials – if you’re in the middle of those, you feel like you’re in a hill town, it’s a good feeling. Q: And how would you describe your experience with working with the city and its various interests? JS: You earn respect from them by being honest and sincere. I deliver what I say I do, we don’t change things at the last minute. The city is happy with that. I have a good relationship with the Planning Board, what they are looking for, they want good materials, detailing. The building department wants to make sure you meet the codes; we sit down and meet if we have different interpretations on how the code reads – but you have to work on it from day one. It takes time, building inspectors, commissioners come and go and you have to earn their respect each time by doing the right thing, don’t hide anything. 5. According to Matt Butler over at the Times, Lakeview Ithaca might be a little larger than initially anticipated. In a report on homelessness, he mentions a meeting attended by Lakeview’s CEO, who said the new building would have 56 affordable units (vs. the 50 previously reported in the IURA application), with 28 reserved for those with mental disability. A time frame of fall 2018 – fall 2019 is given for construction, somewhat slower than the April 2018 start reported in the IURA application. 6. A couple of interesting things to note from the ILPC Agenda for next Tuesday, apart from the usual stairs, porches and windows. One, 123 Eddy got a revamp in accordance with the commission’s design guidance – gone is the porch, and more detail was strongly encouraged. I still prefer the previously-approved design, but this is an improvement from the Craigslist ad. Meanwhile, downstate businessman Fei Qi is finally heading back to the board with a plan for the historically significant but structurally deficient 310 West State/MLK Street. Previously, he wanted to do 3,800 SF of office space in a renovation partially financed by state tax credits, but it wasn’t funded and the office market is a bit lackluster in Ithaca anyway. At the time, residential was ruled out due to fire safety issues. However, this new plan is a residential project. It’s a proposed 12-bedroom “co-op” living arrangement (Co-op? SRO [Single Room Occupancy]? Neither one is a terrible idea, although SROs have negative connotations). JSC Architects of suburban NYC (Fresh Meadows) would remove a rear chimney, put in new shingles, add a wheelchair ramp and skylights, along with the to-the-studs internal renovation. It’s an interesting plan, though the ILPC might be iffy on some of the details. We’ll see how it goes over. A. McDonald’s would replace their existing 4,800 SF restaurant at 372 Elmira Road with a new 4,400 SF building. B. Benderson Development wishes to renew approvals for a 14,744 SF addition to their shopping plaza at 744 South Meadow Street (this would be on the south end next to Hobby Lobby, where KMart’s garden center was years ago), and build a new 7,313 SF addition at the north end of the strip. Apparently, Ithaca’s a safe harbor in the ongoing “retail apocalypse”. D. DeWitt House is moving forward. With ILPC Design Approval (Certificate of Appropriateness) in hand, envrionmental review still needs to be conducted. Site plan review docs note it’s a $17 million project with a December 2017 – March 2019 construction timeframe. G. Finger Lakes Re-Use, carried over from the previous month. 1. There might be yet another potential hang-up with the Lansing Meadows project. Previously, developer Eric Goetzmann presented planned to the Lansing village Board of Trustees to densify the initial 12-unit plan and add a small retail component, such as a coffee shop, diner or similar gathering venue. The idea was well received, and so Goetzmann approached the planning board with 20 senior housing units and a small commercial lot TBD, where it was A) news to them, and B) not-so-well received. According to the Lansing Star, the objection is not to the housing; in fact, the planning board said they’d prefer another four housing units rather than commercial. But they’re not comfortable with the sudden change, and Goetzmann’s looking at the additional costs of revised plans because the Board of Trustees and the Planning Board were not on the same page. It is kind of a weird situation, although not unprecedented (it bears some similarity to the 201 College debate in Ithaca city last year, where the Planning Department and Planning Board were not on the same page). The boards are supposed to meet in early April to retify their differences so Goetzmann knows what he can move forward with, hopefully by this summer. Looking at the screenshot above, Salem R. LaHood of suburban Syracuse is the architect; apart from being a design partner for some high-end outlet malls, I can’t find much else on his resume. 2. The solar arrays planned in Dryden are getting are less-than-welcome reception, per Cassandra Negley at the Ithaca Times. The argument is pretty similar to the one often used on affordable housing – “we know it’s needed and we like it in concept, but we don’t want it anywhere near us”. But then far from one person is close to another; and it results in lackluster solutions, like affordable housing so far out that it’s isolated from needed goods and services. One of the biggest sources of opposition is from family and friends of those interred at the Willow Glen Cemetery, which is the landscaped area south of the panels in the image above. Although many of the opposed do not even live in New York, let alone Dryden, it’s argued that the project is “sneaky back-room industrial solar” and will “destroy the atmosphere” (coincidentally, the land across the road from Willow Glen is zoned for and being marketed to roadside commercial tenants). It’s fine to be concerned, but looking at this particular site, the anger is a little overblown – there is sufficient room for a green screen of hedges and trees between the panels and the cemetery, which could easily be included as a stipulation as part of the approvals. Sustainable Tompkins is attempting to push back against some of the criticism, but on the balance, the public comment on the Dryden solar arrays is negative. Let me approach this with an overarching view. Dryden is strongly opposed to an increase in natural gas (much to Lansing’s chagrin). Wind energy has been vociferously opposed just over the valley in Enfield, and Newfield essentially outlawed wind turbines. Solar panels are also being fought in Ulysses and Newfield. 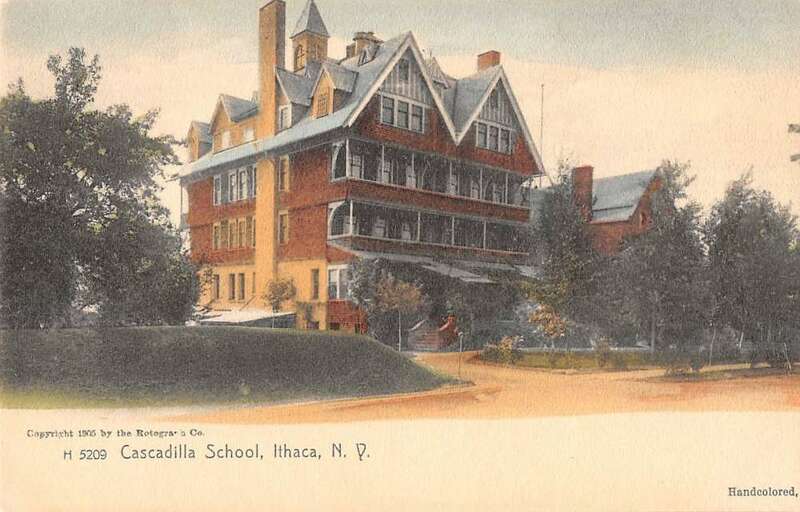 In Ithaca, there have been onerous battles over allowing panels on rooftops in historic districts. The energy to power homes and businesses has to come from somewhere; the preference seems to be for a sustainable option, rather than oil or gas piped in from Pennsylvania or beyond. Every choice is going to have its pros and cons – gas is cheap but environmentally unsound; wind turbines are tall and highly visible; solar panels need space for their cells. Frankly, a lightly-populated area on untaxed land owned by Cornell, which would then pay a PILOT fee for the solar panels, seems like a reasonable option. Someone has to step up and lead by example. Why not the town that fought fracking and won? Anyway, the town pushed their meeting on the project back by one week to digest the onslaught of criticism. The meeting will be held at the town hall on Thursday April 6th at 7 PM. UPDATE: The April 6th meeting has been cancelled and cannot be rescheduled until additional paperwork about the project has been received. 3. On the topic of energy, it looks like Cornell wants to move ahead with a trial run of its experimental geothermal project. Per the Times, the initial test phases of the “Earth Source Heating” project could take up to six years and $12-$15 million, which is a lot of money given that no one is certain if it will ultimately be a viable source of renewable energy. Some concern is being expressed that the project is too similar to fracking, but unlike the fracking process, where water is used to shatter shale beneath the surface to extract natural gas, the water used here is much lower pressure and kept in a closed loop, in comparison to fracking’s constant expansion of extraction sites. For the time being, the naysayers are assuaged, so now comes years of designing the project and permitting; an extensive Envrionmental Impact Statement (EIS) seems almost certain. ESH would be groundbreaking in more ways than one, if successful. 4. It looks like the major hurdles to the Travis Hyde Properties Old Library redevelopment have been cleared. With the historic district Certificiate of Appropriateness granted from the city’s ILPC, it’s now a matter of going through site plan review – the developer is hoping for an expedited process that’s settled by May, which given the joint meetings between the Planning Board and ILPC, may be possible. The design review is already complete as is most of the documentation, so at this point, it’s just a matter of making sure there are adequate environmental mitigations in place. After that, it’s time for the county to draft up their docs for the $925,000 sale of the property, and hopefully THP can get the mixed-use project underway later this year. The 73,600 SF project will host 58 market-rate units for the 55+ crowd, community space administered by senior services nonprofit Lifelong, and 1,250 SF of street-front commercial. 5. The Tompkins County IDA held its public hearing for the City Centre tax abatements. As expected, the reactions were mixed. A couple of developers not associated with the project (Frost Travis and Todd Fox) came out and spoke in support, which is really great. For one, these guys are invested in the city and knowledgeable about the market, so they should have an idea on whether City Centre would be a welcome economic addition or detraction. For two, it’s nice to see members of the same real estate community standing up for each other. There are cases now and in the not-so-distant past where developers went out of their way to fight other projects, with the parochial scope that as few units as possible would mean as high rents (revenue) as possible. I’m not necessarily saying every project is great and they need to stick up for it, but it’s heartening to see some are taking a broader scope and speaking on behalf of the ones they recognize as beneficial to the community. The detractors seem less upset about the project itself than the abatements, and there is the fundamental misunderstanding that taxpayers are “paying” for this project. There is no paying; it just phases in the new property taxes on top of the existing value and taxes for the parcel, rather than one big lump increase from the moment of completion. For the sake of example, if they’re paying $100,000 in taxes now, and a given project will bring it up to $1,000,000 in taxes, an abatement means they’ll still pay $100,000 until the site’s developed, then $200,000 right after completion, then $300,000 the following year, and so on until $1,000,000 (plus inflation) is attained. I’ve tried to explain this in the Voice, the Times has tried to explain this, but it’s still a problem. 6. Two Collegetown projects were brought to light at last week’s planning board meeting. 232-236 Dryden, a Visum Development project, would replace a large surface parking lot and rundown 30-unit apartment building with a 191-bed, 2-building complex. 238 Linden, a Novarr-Mackesey infill project, replaces a 10-bed, non-historic apartment house with 24 studio units in a townhouse-format structure designed by his favorite firm, ikon.5 Architects of Princeton. The target market is Johnson students, particularly Executive MBAs who may want to be closer to the university. One of the neat features is that the rear will have a treated “chameleon-like” surface that will change color depending on viewing angle, not unlike the pearl metallics used on some custom cars. The plan is to have both 232-236 Dryden and 238 Linden underway late this year. Both are likely to have August 2018 openings, although 232-236 Dryden might be a two-phase project, with the second structure coming online in August 2019. Keen readers will note that the Times has the sole coverage of 238 Linden right now, and this was not in the Voice; Nick Reynolds was at the meeting, I was not, and while I’ve been trying to get renders, I have yet to come through with one. I’d rather play catch-up than sacrifice integrity. I’ll follow up in the Voice eventually, but in the meanwhile, the blog is fair game because I make no money from it. 7. The town of Ithaca planning board looks to have a fairly quiet agenda for next week. Renewing some temporary modular structures at Cornell, construction signage for Maplewood, and An 11-lot subdivision on South Hill, “Ithaca Estates III” featuring Lilium Lane, Monarda Way and Rock Cress Road. Unfortunately, it’s the Monkemeyer property, where the town has been entertaining ideas of a new urban neighborhood since its new Comprehensive Plan was passed in 2014. Evan Monkemeyer chose to revive a plan from 2010 for two cul-de-sacs off of a new arterial road that would cut through the property; and given the long-term build-out schematic shown above, there would be more cul-de-sacs to come, for a fairly conventional 1990s era suburban layout. Even though he’s apparently mowed the future roads in place on satellite, this doesn’t match up with the town’s Form Ithaca-inspired visions at all. The issue isn’t the housing, it’s the layout. The town’s planning push has been moving away from cul-de-sacs and towards connected streets. Monkemeyer’s gone down this road before. It didn’t work out very well. Reviving a seven year-old plan that doesn’t fit with the town’s more recent Comprehensive Plan is not, and shouldn’t be, something that is going to sail through the planning board. Token future park space isn’t going to change that. Of course, then he’ll just whine to Rep. Tom Reed again. To Monkemeyer’s credit, the town has been taken uncomfortably long with formulating their new zoning code, it looks like some of the multi-year delay was the town’s fault over who was responsible for a water easement – but given the 6+ years since the issue was raised, it doesn’t appear he was pushing the matter much.